They will feel soft, weightless and natural during the day and evening. Your lashes will look fuller, more defined, longer and thicker. You will no longer need to wear mascara. XXL Lashes are attached using odourless, medical grade adhesive for sensitive eyes and this does not come into contact with the skin or eyes. The only substance that can cause reactions for some people (usually those who are allergic to plasters) is the adhesive on the medical tape, then we suggest using as a second option to seal the lower lashes if anti-wrinkle pads are insufficient. XXL Lashes can be compared to hair extensions. however, whereas inexperienced hair extension technicians can damage your hair and cause it to become thinner, XXL Lashes will not make your natural lashes shorter or sparser. Developed in East Asia, XXL Lash extensions are a professional product made of a soft and naturally curved synthetic material designed to bond to human eyelashes using a specially formulated bonding agent that creates a permanent polypeptide bond. It dries soft, remains flexible and bouncy and, more importantly, causes absolutely no damage to the clients natural eyelash. Made to be identical to natural lashes, the XXL Lash extensions base is flat and the lash tip is fine and polished, just like real lashes! Needless to say, your lash line will look natural and simply gorgeous. No more mascara or eye makeup remover will be necessary, and no major after-care is required. The lashes will shed naturally along with your natural lash shedding cycle. No. You will rest comfortably with your eyes closed during the entire application. Most people even drift off to sleep... and wake up with gorgeous looking eyes. 5. Time spent on the application. Yes, Some XXL Lash extensions will begin to fall out at the end of the 2nd week. In order to maintain a lush lash line, you will need to schedule "fills" approximately every 2-4 weeks. During a "fill" appointment, approximately 15 lashes per eye will be applied. Yes, we offer very intensive training workshops, which cover everything from basic to advanced application techniques with practice on mannequin heads and live models too. 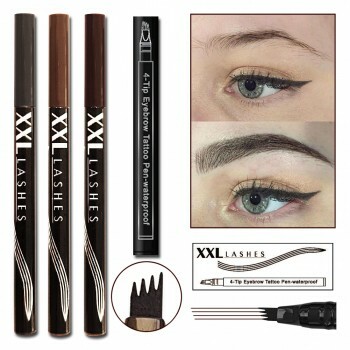 Students are required to purchase the XXL Lashes Starter Kit prior to attending the workshop. The workshop cost is 395 EUR. A certificate will be issued upon completion of the workshop. XXL Lash extensions are not suitable for everyone, especially if you are a low maintenance girl or guy with hardly any spare time. XXL Lashes are also not suitable for clients with no existing eyelashes or any disease around the eyes. Yes, at any time for any reason. We recommend this treatment also to be done by a Professional. If for any reason you will have to do it on your own, please follow these instructions: Apply vaseline to the upper lid and underneath the eye, then place a tissue or cotton pad under your lower eyelid. Close one eye and use a Q-tip and the eyelash adhesive remover to remove the eyelashes. Stroke the eyelash for 3-5 minutes depending on the amount of lashes remaining and the adhesive previously applied. Then wipe the eyes with warm water. If you feel any stinging, re-wipe with warm water. XXL Lashes naturally darken your lashes, your lashes will look vivid and mascara is not necessary. If desired, you may wear water-based mascara on the tip of the XXL Lashes for enhancement. Never use waterproof mascara as any type of mascara remover may not be used at all. Rubbing directly on the XXL Lashes or using mascara remover will weaken the bonding. Water-based mascara should come off with just soap and water while washing your face or showering. No, not at all! XXL Lashes' adhesive is formulated to create a polypeptide bond, specifically for human lashes. The adhesive dries very soft on lashes, allowing XXL Lashes to stay flexible and bouncy just like your own lashes. XXL Lashes will adhere to the lashes softly and comfortably while not damaging your natural lashes or causing the natural lashes to fall out. Neither the procedure nor the material touch your lid or your eyelashes root. The root will stay unaffected and will produce the next eyelash just as normal. The natural lashes will not be damaged unless they are pulled out deliberately with the XXL Lashes attached to them. Compared to hair extensions inexperienced hair extension technicians can damage your hair and cause it to become thinner, XXL Lashes will not make your natural lashes shorter or sparser. 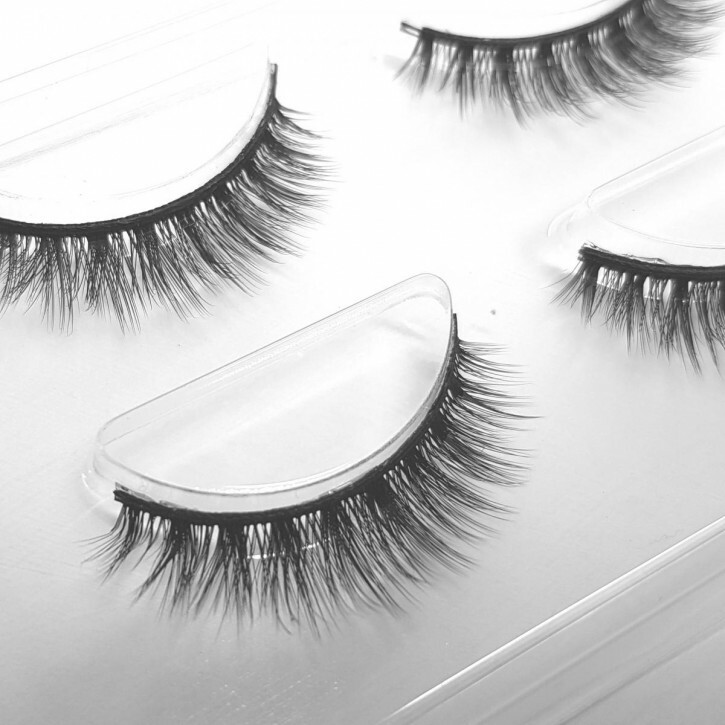 XXL Lashes are made of a synthetic material, which is very soft, silky and naturally curved. XXL Lashes are crimp-resistance and flexible. Yes. According to the ABC News, Good Morning America, dated January 2 I, 2006, it reports that Paris Hilton and Lindsay Lohan have them, and J. Lo's eyelash extensions are made of mink. Even more extreme, Madonna's lashes are $10,000.00 and are studded with diamonds. Lindsay Lohan, along with other stars, report using eyelash extensions to make their eyes stand out. Eyelash extensions are applications of single synthetic lashes one by one to each individual lash of your own to accentuate the beauty of your own eyes. The process is a semi-permanent one and results in a beautiful, lush and a natural extension of your own lash line. XXL Lashes are made to look identical to human lashes. You will lie in a relaxed position. Your lower lid eyelashes will be covered with a tape or a pad, to prevent, the upper lashes sticking to the lower ones. Then you close your eyes, as each synthetic lash is adhered to your individual lashes. This process takes approximately 1 1/2 to 2 hours, depending upon the amount of lashes applied. Each treatment usually involves attaching approximately 30-40 lashes per eye. When you open your eyes you will have long, naturally curved, beautiful lashes. XXL Lashes application is not at all painful; in fact it is considered one of the most relaxing beauty treatments available today. When properly applied, they will last the full cycle of your natural lash cycle. The life cycle of a natural lash is the amount of time it takes for a natural lash to grow in and fall out. A person's natural eyelash typically falls out every 60-90 days and is naturally replaced with a new eyelash. The maximum time XXL Lashes last is 2 months, however it is not unusually for clients to loose a lash extension if it is placed on an "old" lash. Due to this cycle, "eyelash fills" are recommended every 2-4 weeks so as to fill in the areas where new lashes are growing in.